Toss the Brussels sprouts and the garlic in the oil and bake in oven at 400 until crispy. Remove and toss in the fresh herbs and then season with salt and pepper. 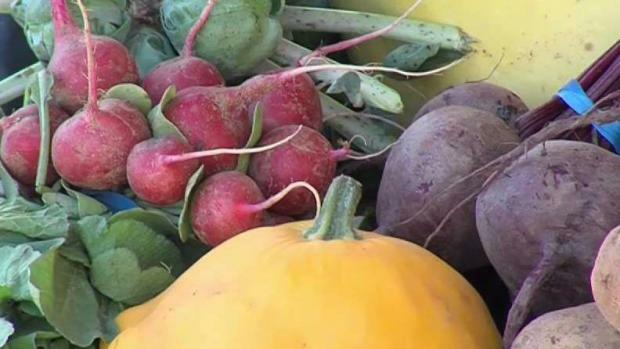 Oxen Hill Farm provides fresh produce and you can find them at the Coventry Farmers Market as well. Roast squash cut side down until soft. De-seed and remove strands with fork. 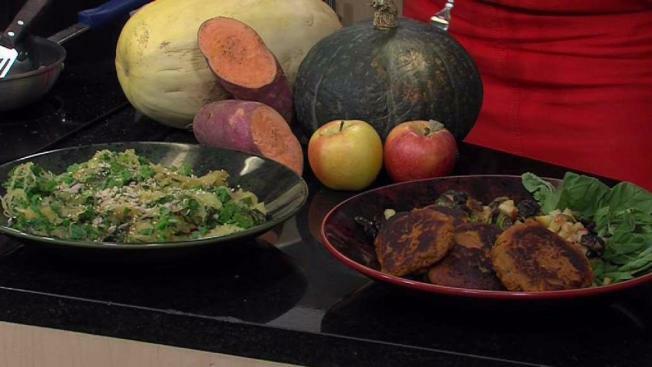 Saute apples and greens and toss with squash. Season to taste. Adjust consistency with either a nut milk or chickpea flour if too wet or too dry. Then season. Make into patties and pan fry until golden.